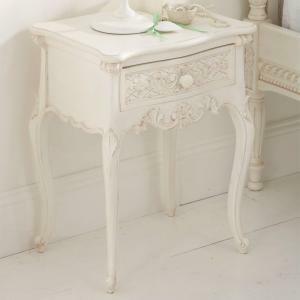 A charming dressing table stool hand carved from mahogany and painted an ivory white with subtle distressing. Upholstered in a cream fabric with subtle pinstripe this dressing table stool is a perfect complement to our Tilly Dressing Table. 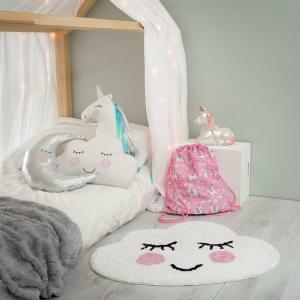 Within 2-4 weeks from order. 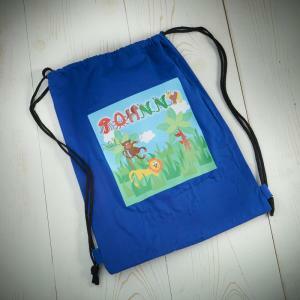 Our 2 man delivery team will contact you a few days in advance of your intended delivery date to confirm a day and approximate time. If you require a call 30 minutes before they arrive please request this when they contact you. This wardrobe is beautiful and fits perfectly into the alcove next to the fireplace. It has a really large drawer at the bottom for storage and excellent space. Very lovely, indeed. More than pleased!! 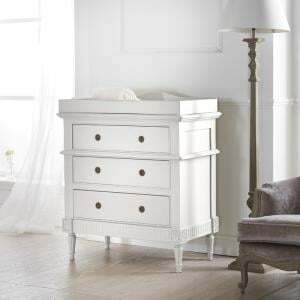 Great quality and nothing like the cheap flat packed furniture that seems to be the norm these days. My dad who took delivery said the delivery men were superb too. 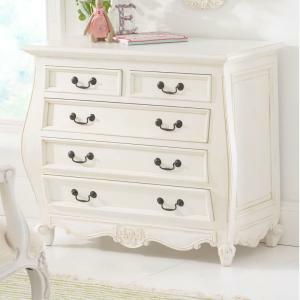 A very pretty bombe chest of drawers with a beautiful curved shape that only adds to its charm. 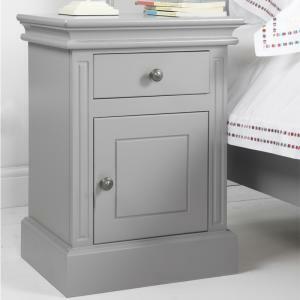 Carved from mahogany and painted an ivory white with s..
An elegant and charming bedside table to complement our Tilly Fleur collection of bedroom furniture. 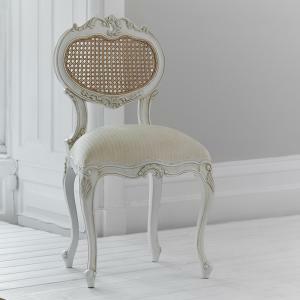 Carved from mahogany and painted an ivory white w..
An adult sized chair carved from mahogany. 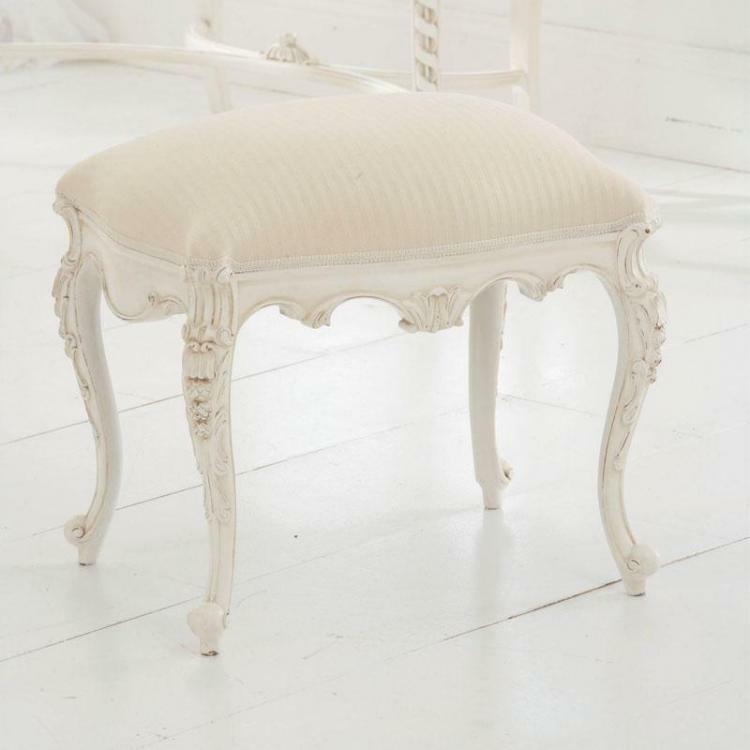 This chair is painted an ivory white with subtle distressing and is a perfect match to our Tillys Height dr.. 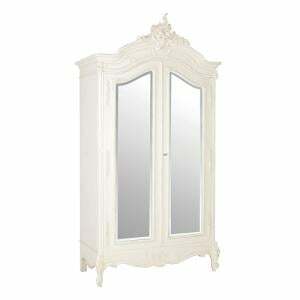 This double mirrored Children's armoire is carved from mahogany and painted a winter white with authentic distressed finish. 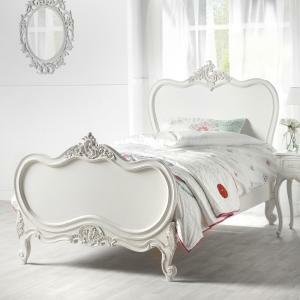 The mirrored doors are ma..
Our gorgeous princess bed hand carved from mahogany and painted an antique white or off white with subtle distressing. 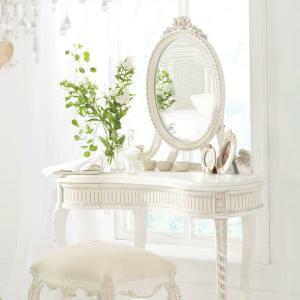 Our Tilly Fleur collection is c..
An opulent and luxurious full sized dressing table for the aspiring princess. 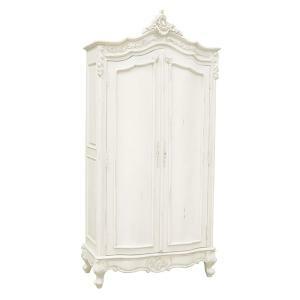 Carved from mahogany and painted an ivory white with subtle distressed f..
A spectacular full sized children's wardrobe carved from mahogany. 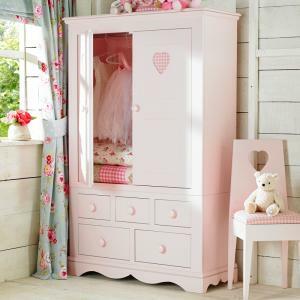 Painted an ivory white with subtle distressing, this gorgeous children's wardrobe h..